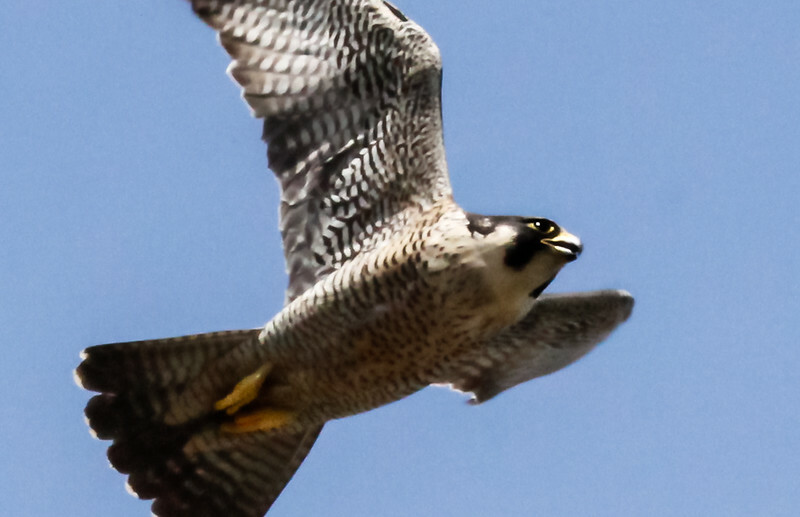 Peregrine falcon in flight, Phippsburg, Maine. This raptor has been delisted by the US Federal Government. Its current status is protected, but no longer endangered.